When we said it’s always, always an excellent idea to work with the experts when it comes to your wine cellar, the reason is obvious: you get quality, best-in-class service plus a sight that’s truly pleasing to the senses. 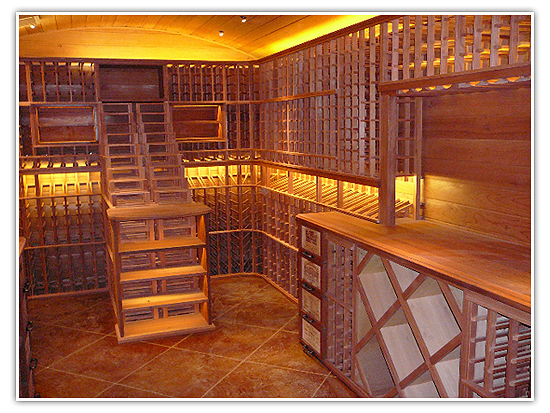 So today we’re featuring the work of our valued Montana wine cellar dealer who put together this amazing wine bunker! Our expert wine cellar consultant from Montana was originally called upon by the contractor for whom they had done another project to offer some consultation on design and execution of this very special project. 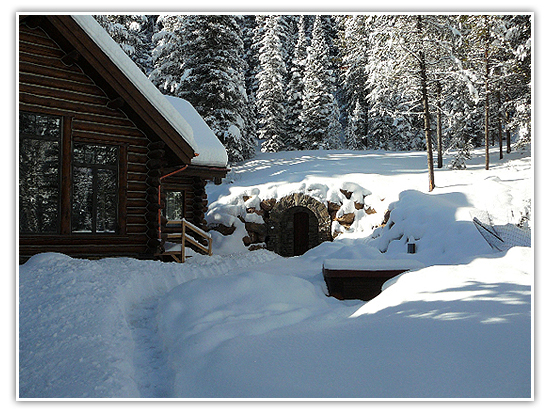 Our Design Consultant’s clients were about to retire from their business in Tennessee to their second home in Big Sky, Montana. Although this was to be a residential project it had commercial-category criteria. After all, how many home owners actually require a separate 10’ x 20’ cast concrete, climate-controlled wine vault separate from the foot-print of their home? Yes, you read that right. Separate from their home. While most homeowners opt to have their wine rooms built within their homes, this residential wine cellar lover had other “special” plans for their wine cellar. Well, there was a tremendous amount of very careful excavation so the ‘bunker’ could be formed and poured and then the natural vegetation replaced and re-contoured to its original form. 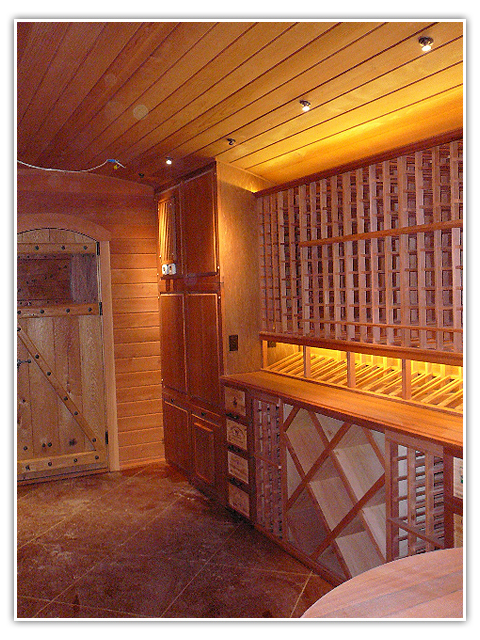 Once the infrastructure had been designed, the owners felt it was important for our valued Montana wine storage expert to continue on into the actual fabrication of all of the interior racking and cabinetry elements. After exploring a buffet of wood, finish and style options it was decided to proceed with a ‘hybrid’ option. This was great, because it allowed for the customization of modular units available from our dealer’s manufacturer with a few distinctively unique twists. And so they finally arrived at using All-Heart Redwood with a water-based clear finish on it. Just look at these gorgeous wine racks! Our valued Montana dealer gave their clients a real treat too — they surprised them by using of some ancient Redwood from an old National Park redwood water tank for all of the counters, posts, raised-panel cabinets, base, crown and fillers! How ingenious is that? This wine bunker has a 2,500 bottle capacity – can you just imagine all these racks stocked with wine? Surely, our dealer’s clients have been very pleased with the results. The custom Bordeaux case-end drawers and accent lighting have made this a project we’re all excited to see photos of — completely stocked with wine bottles! We can’t wait to see them displayed on their web site! This will be done sometime soon so stay tuned. Have a question about your wine storage needs? Talk to us today. We’re happy to help.